Educational Qualification : Graduate in any stream from the recognized University/ Institutions. NTC Selection Process : Selection will be made on Interview. 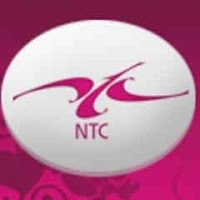 How to Apply NTC Vacancy : Interested candidates may Apply in prescribed application form along with Original Demand Draft, Self attested copies of documents & experience certificate, send to National Textile Corporation Ltd (A Government of India Undertaking ) Western Region Office NTC House, 15 N M Marg Ballard Estate- 400 001 on or before 30.10.2017.